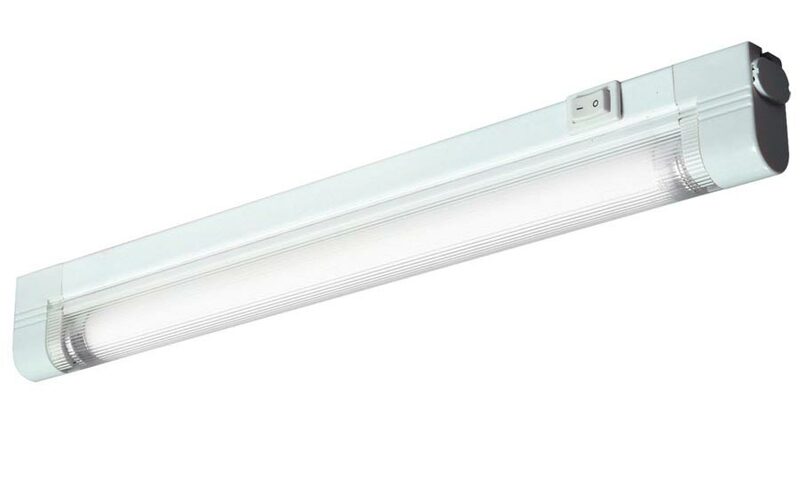 This fluorescent 21w slimline kitchen under cupboard strip light with T5 tube is bright, energy efficient and practical. Designed to fit under kitchen cabinets to illuminate the worktop or as cupboard display lighting. White 604mm body with on/off switch and frosted curved diffuser containing the supplied white T5 tube to illuminate your kitchen worktop with 1900 lumens of white light. Can be connected with other fittings in this range and supplied with 2m power lead, mounting brackets and fixing screws. There are matching fittings available that can be linked together directly or using optional connecting leads in 25cm, 50cm 0r 100cm lengths, please see below for the complete range.